Hollisteristic.com - Although it tends to be indifferent, men still have to care about facial skin health. The goal is to look healthy and clean facial skin. As a modern man, it's natural that you need basic skin care, like a face mask. Masks start to become mandatory skin care that men should consider after facial soap. This is because everyday, men's faces are more often exposed to dust and dirt. In addition to dust and dirt, men's skin is also easier to sweat and oil which often causes blackheads and zits. To avoid this, you can use a face mask that is practical and fits your skin type. No need to be confused when looking for a face mask, Guys. Following this, our summarizes the recommended facial mask for male skin. Check it out! This piece of mask with bamboo charcoal extract is effective in controlling excess oil content on the skin of the face. This mask is suitable for you men who have problems with oily skin. Use a mask after the stage of cleaning your face with face soap. Paste it on your face then wait for about 30 minutes and wash your face with clean water. It's no secret, green tea and tea tree have a myriad of benefits for acne-prone facial skin. Who wants to have a face with acne? No man or woman wants it. 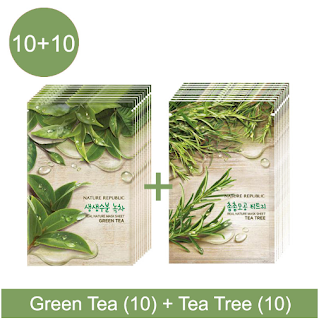 Well, to overcome this you can diligently take care of your face by using this green tea and tea tree mask, Guys. Read also: 8 Simple Make Up Tricks for You, Chubby Fluffy Girls Who Want to Look Different! For you men who often move outdoors, use a mask with ingredients containing red ginseng which has special benefits for the face. Red ginseng is believed to protect facial skin from the effects of free radicals from the sun. This Korean plant also contains antioxidants that protect cells from radiation, especially those from sunlight. 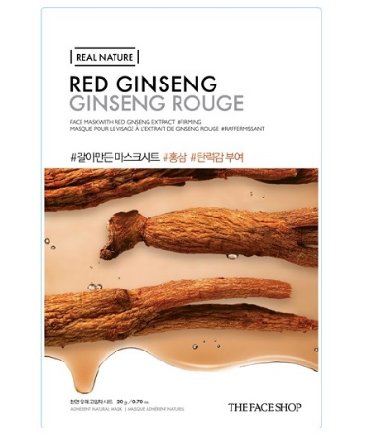 Red ginseng can also remove black spots and wrinkles so the skin feels smoother.